For the past few weeks, we've been exploring international travel destinations. We've discussed Valentine's Day breaks, Senior Cruise packages, and grown up sounding places like Dubai and The United Arab Emirates. And while it's been exotic and all that, it's time now to get down to more pertinent business: international destinations that are fun (and appropriate) for the whole family. During our research, we tried to discover trips that would be enjoyable for the whole family, not just the children. That's why you won't find any amusement parks on our list; we were looking for places where children of all ages would have a good time, not only the youngest ones. 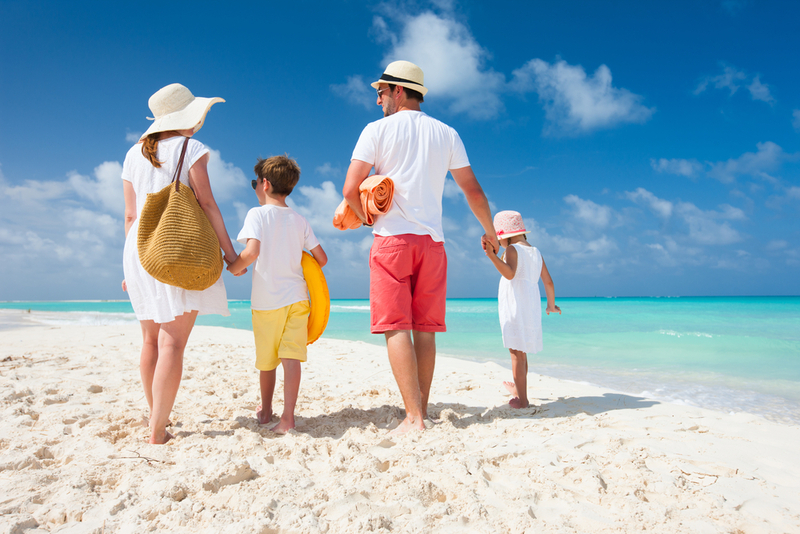 In any case, here is our list of 5 great family holiday destinations this year. And remember: ACE-FX offers the best financial services in the industry. Our prepaid travel cards and international money transfers have the best currency exchange rates available. And because they're backed by Moneycorps, you can rest easy while you're away, knowing that your financials are in the best possible hands. We'll begin with two of the luxurious family resorts on the continent. The first gem we unearthed was the Insotel Tarida Beach Sensatori Resort on the island of Ibiza. And yes, it's just as beautiful as it sounds. Ibiza is located off the coast of Spain and has long been regarded as the most beautiful island in the Mediterranean. The beauty of Ibiza is both tranquil and provocative, Fortunately for you and your family, The Insotel Tarida Resort encapsulates the island's exotic beauty magnificently. This beachfront resort/hotel offers spectacular views and six swimming pools. One of these pools is reserved for adults, while the others are child-friendly and designed for safety. Full-service spa treatment is also available, as well as a half dozen restaurants. And of course, there are activities for everyone, including a children's playhouse, diving expeditions, sports, and live music. There's something for every taste at the Insotel Tarida Resort; but with Ibiza in the background, you might not notice if there weren't. Located on the mysterious island of Crete, the Daios Cove Luxury Resort offers a taste of another world. It's a perfect combination of the natural and the manmade, with the resort and its modern amenities merging perfectly with the gorgeous Mediterranean coastline. Completely child-friendly, The Daios Cove Resort leaves nothing to chance. The rooms and the villas offer five-star luxury, beach access, and a host of fun activities. And in the evening, The Daios Cove offers free child care, so that the adults can eat, drink, and have some alone time. Kids and adults alike will bask in the sun of antiquity here, even as they earn memories that will last a lifetime. No international holiday list would be complete without a ski resort. If you're in the mood for a more wintry break, we suggest The Avoriaz Ski Resort in France. Located in the snow abundant Portes du Soleil region, The Avoriaz is small, easy to navigate, and traffic free. It offers a delightful combination of winter fun and coziness for the whole family. And yes, the slopes are magnificent. Set at an altitude of 1800 meters, they are among the highest in the region. They're safe, well-tended, and offer exciting challenges for every skill level. And when you need to get warm, the facilities offer indoor pools and a variety of amusing activities. Not in the mood for a resort holiday this year? For a change of pace, we suggest a visit to Salzburg, Austria. A tribute to baroque Hapsburg refinement, Salzburg has everything from solemnity to whimsy. There are castles, cathedrals, and some of the most interesting museums in the world. Of course, Salzburg is also a place where musical history comes to life. First and foremost, it's the birthplace of Wolfgang Amadeus Mozart. But if your family is in a different musical mood, you can visit the home of the actual Von Trapp family, whose exploits inspired The Sound of Music. Salzburg is unique and beautiful no matter what your family's tastes are. Rounding out our list is another updated antiquity -- Rome, Italy. The Eternal City is gorgeous during every season and brims with a unique vitality. Whether you come for the centuries of history, the vibrant culture, or just to lounge with a drink on the piazza, Rome is truly a transformative experience. And the children will be delighted too. They'll soak blissfully in the Roman sun and discover flavors they never knew existed. They'll be immersed in the Cradle of Civilization, receiving up close knowledge from an age that never stops teaching us. Click & Collect Order online collect same day. 8% more than the Post Office. PREPAID CURRENCY CARD The alternative to carrying cash. Money Laundering Regulation Number (MSB): 12429742. Issued by HM Revenue & Customs (HMRC). Money Laundering Statement | ICO (Information Commissioner's Office). Copyright © 2008-2018. Ace FX Limited. Company Registered in England & Wales No. 06748933.